[Updated with video] Minister of Health, Seniors and Environment Jeanne Atherden announced the members of the Seniors Advisory Council today [March 2], saying that Dr. John Cann has agreed to Chair the Council, and Marian Sherratt will serve as Deputy Chair. “As most of you will appreciate, Bermuda has an ageing population, and seniors’ issues are growing along with that population – growing both in numbers and complexity,” Minister Atherden said. “We are faced with families who are having challenges with keeping up with the care needs of their spouses or relatives. We have seniors who are finding it difficult to make ends meet while taking care of their health needs. Minister Atherden concluded, “I will be asking the Seniors Advisory Council to work with our Government Department and our Civil Servants to develop a comprehensive National Ageing Plan for Bermuda. “Members of the Council were chosen, not only because of their significant background experience in a variety of seniors’ issues, but also their passion for the subject. “It is anticipated that the Council will form subcommittees which will invite the participation of individuals who are not on the Council, but have expertise relevant to the subcommittee. I am delighted to be here today to announce the creation of the Seniors Advisory Council. I have been joined today by Dr. John Cann who has agreed to Chair the Council, and he will be ably assisted by Mrs. Marian Sherratt in her role as Deputy Chair. As most of you will appreciate, Bermuda has an ageing population, and seniors’ issues are growing along with that population – growing both in numbers and complexity. We are faced with families who are having challenges with keeping up with the care needs of their spouses or relatives. We have seniors who are finding it difficult to make ends meet while taking care of their health needs. We have a growing number of elderly Bermudians [and some who are not so elderly] who are suffering from Alzheimer’s or dementia. On top of all this, we are challenged by a shrinking budget for financial assistance, and a shortage of Residential Care Homes. As a Government, we have an obligation to set policies and plan for the future, and we have a responsibility to ensure that the people who live and work in Bermuda have the knowledge they need to plan for their own future. We need to make sure that today’s young people are prepared for their old age. We don’t want them to be elderly and reliant on the Government for their housing and care. 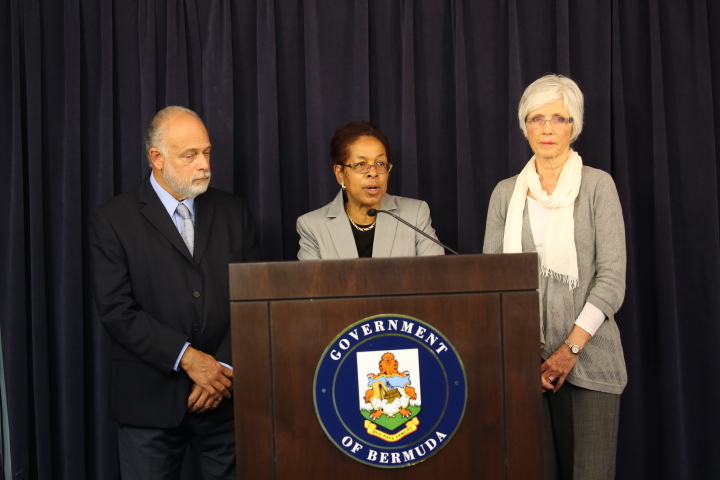 I will be asking the Seniors Advisory Council to work with our Government Department and our Civil Servants to develop a comprehensive National Ageing Plan for Bermuda. Part of that Plan will, by necessity and as a matter of priority, need to address the issues surrounding long term care. I expect that the National Ageing Plan will provide guidance on a number of strategies that need to be employed to ensure that every Bermudian is prepared for their retirement years. Everything from housing, saving, investing, pensions, health planning [including power of attorney and advanced directives], as well as estate planning will be addressed. The Long Term Care strategy, as of the Ageing Plan, will focus on the continuum of care for vulnerable persons [this includes seniors as well as young disabled individuals]. We anticipate that it will consider strategies for ensuring that seniors can age at home for as long as possible, provide projections for the number of institutional beds that will be required, and develop models for paying for the appropriate levels of care and the supporting services that are needed. As I said, the incidence of Alzheimer’s and dementia are growing in Bermuda, but we have only limited information on the prevalence of these debilitating conditions. Caring for this growing population of Alzheimer’s and dementia sufferers is, even now, putting a strain on care givers, families, and our long term care facilities. This strain will only get worse in the future, so another of the tasks for the Council will be to review the need for and development of what I am calling an Alzheimer’s and dementia care strategy. Members of the Council were chosen, not only because of their significant background experience in a variety of seniors’ issues, but also their passion for the subject. It is anticipated that the Council will form subcommittees which will invite the participation of individuals who are not on the Council, but have expertise relevant to the subcommittee. The Council will be activated as of today, and the frequency of their meeting will be determined by the Council members. In closing, I would like to reiterate how impressed I am with the caliber of the members in this Council – all of whom have my full support as they commence their work this month. I wholeheartedly believe we have selected the best people for such an important job – ensuring the wellbeing and future security of ours seniors. Nice to see this finally underway – too many people though? If there were two you would say how can two people cover all this stuff. Where is their support. Their time unless you can come up with how much OBA is paying them. How much are they being paid. If it’s a statutory board it’s probably $50 a meeting. But why don’t you just ask the Minster yourself instead of sowing distrust. Don’t make no sense asking the Minister, they couldn’t tell us that Hanbury was making $1,000 a day. And what about the girl Fleming from Age Concern? She doesn’t fit the profile. Totally agree, wonderful to see the OBA taking responsibility for elders and dementia patients. However, this committee is far too big. Try getting all of these people in a room at one time or even getting consensus on important issues. Why did they not choose the key players, no more than 5/7 people and use the others for sub committees? This is a good move, and the Minister should be congratulated. Although the size of council worries me, I will hold further judgement until the council produces results. I wish them all the best; they have an important job to fulfill – one that will affect all Bermudians at some time or another. Read the editorial! They talk of setting up sub committees. They need 3 or 4 on each sub cttee. This is where all the main work will get done and they will report back to the main cttee. We want progress, they have to get the work done somehow. It’s not a tea party. These are volunteers doing good, often thankless work, if they get a small stipend, good for them. We could all be in the position of needing the services and adjustments this Cttee will recommend one day. I think we will have more old people on the commette than there are old people. Yes i am sure with more regulations they will find away to extract funds from old people,mark my words. They are old and must be controlled.very sad.